...three friends and entrepreneurs at the Georgia Institute of Technology, decided to come together to change the face of entrepreneurship. The Black Burdell, Inc. is a 501(c)3 nonprofit focused on supporting, promoting, and cultivating black-owned businesses. It's our desire to provide existing and aspiring entrepreneurs access to knowledge, resources, and networks in an effort to efficiently build black businesses and a community of empowered entrepreneurs. The Black Burdell, supports student entrepreneurs through our Cultivating Entrepreneurs Scholarships, promotes and empowers businesses through our EnPower Hour events nationwide, and cultivates a community of entrepreneurs with our annual Burdell's School of Entrepreneurship Conference for minority entrepreneurs. We won't spam you, we'll just help you support, promote, and cultivate black businesses. Graduate of the Georgia Institute of Technology where he received a B.S. in Biomedical Engineering and a minor in Technology & Management. He is currently a consultant and diversity chair for Clarkston Consulting living in Dallas, TX. Miller is a serial entrepreneur passionate about technology, workplace diversity, fitness, and minority entrepreneurship. Graduate of the Georgia Institute of Technology where he received a B.S. in Business Administration: Information Technology Management Concentration along with an Entrepreneurship Certificate. Sanders is a Management Consulting Analyst at Accenture residing in San Francisco, CA. In addition to consulting, Darren also works with Adroit Design & Consulting firm as a project manager. Graduate of the Georgia Institute of Technology where he is received a B.S. in Aerospace Engineering with a minor in Technology & Management. 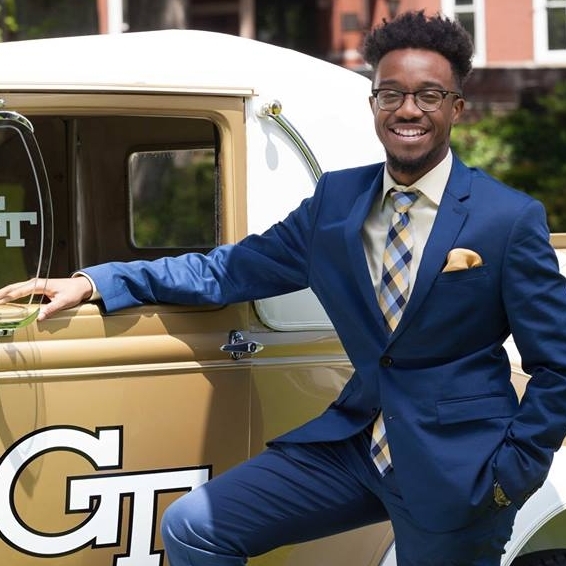 Actively involved in the Georgia Tech and Metro Atlanta communities, Henderson is the VP of Internal Affairs of the Georgia Tech Student Ambassadors and the Parliamentarian of the Georgia Tech Society of Black Engineers. Graduate of Kennesaw State University where he received his B.S. in Business Administration: Finance. He is the College Recruiter and Developer at Northwestern Mutual. Founding Financial Connoisseurs in 2014; he has been adding value to small businesses, families and individuals through tailored financial planning services. Graduate of Georgia State where she recieved her B.S. in Biology and Chemistry. Hunter is innovative and dynamic, while committed to excellence within her local community and communities abroad. She believes that it is never to late to be exactly who you want to be and knows that fostering a love for STEM in our youth will provide opportunities for growth and guidance. Graduate of Christopher Newport University where she received her B.S. in Business Administration: Management Concentration and minored in Spanish and International Culture and Commerce. With a knack for event planning, Amber works as a Recruiting Coordinator for Old Dominion University, serves on the Alumni Board for her alma mater, and is the founder of Soul Adults, a Christian Fellowship Group. Graduate of the Georgia Institute of Technology where he received a B.S. in Mechanical Engineering with a minor in Technology & Management. Wama is currently working as an Operations Engineer for Caterpillar Inc. in Peoria, IL. He is also a freelance graphic designer and cryptocurrency enthusiast. Student at the Georgia Institute of Technology where he is earning a B.S. in Computer Science. He is currently a marketing intern for the Minority Business Development Agency. Woodall is also a freelance designer, as well as, a mobile and desktop application developer. Graduate of Savannah State University where she received her B.S. in Business Administration: Marketing and George Washington University with her M.P.S. in Strategic Public Relations. She is a creative free spirit who is passionate about digital strategy and communications.